I’ve had a major colour crush on purple recently. I’m in love with all shades of it: lavender, aubergine, violet, orchid, mauve, amethyst, raspberry, lilac, mulberry, plum and wisteria. It’s an incredibly versatile hue that can set the scene for a variety of moods – from sultry to feminine to bohemian to calm. Here’s a massive collage of purple pretties. I’ve also included cropped segments of the overall collage so that you can see all of the beautiful details. 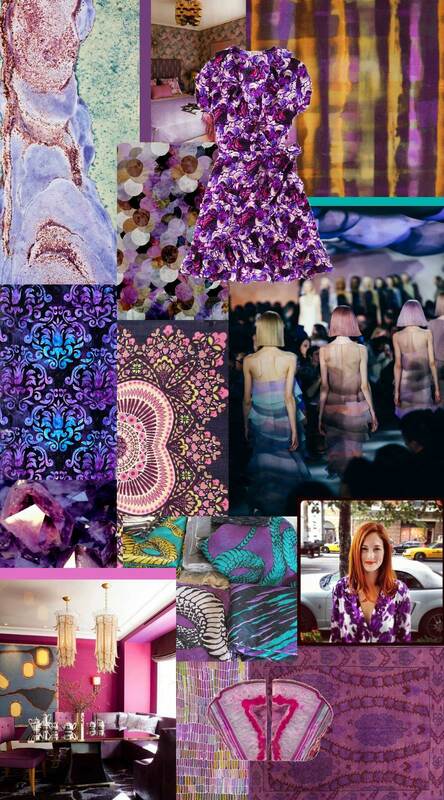 Liberty Art Fabric "Solsetur B Tana Lawn"
What’s your favourite shade of purple?